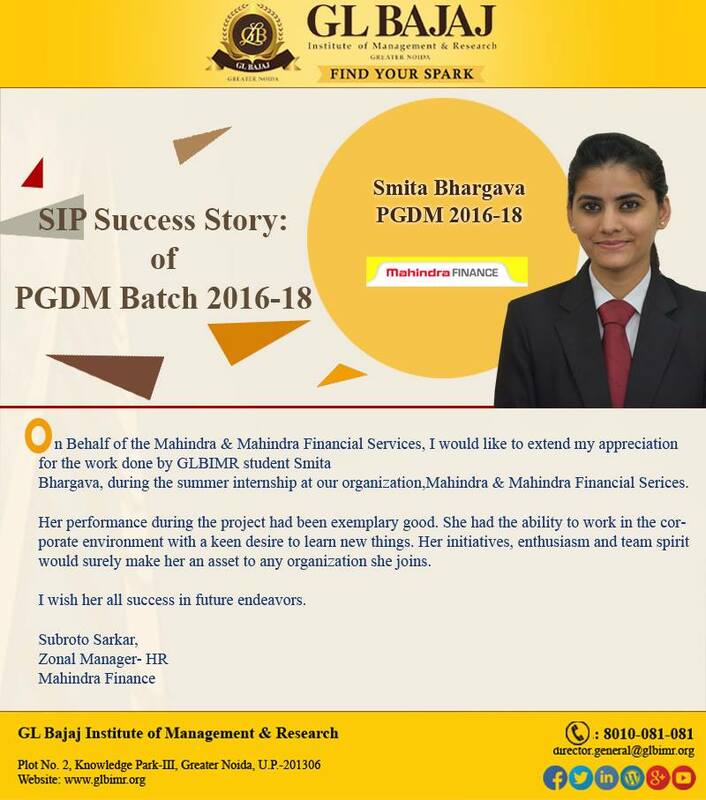 We feel extremely elated in sharing, that our PGDM Batch 2016-18 student Smita Bhargava, has been appreciated greatly for her exceptional contributions, in the organizational work, which was assigned to her during the Summer Internship Project at Mahindra & Mahindra Financial Services. GLBIMR is proud of Smita ! !